Colic and fussiness in young babies just isn't fun for anyone. Not for the baby. Certainly not for the parents. 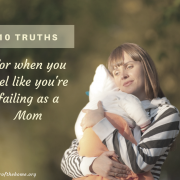 It can be downright exhausting, and it's difficult to see your baby in such pain and discomfort and to feel that you can't do anything about it. There are a lot of products out on the market for colic in babies. Unfortunately, most of them use substances that only treat the symptoms, such as sodium bicarbonate which is used in antacid relief (like Tums or Rolaids), or gas suppressing medications such as Simethicone which are used in over-the-counter remedies like Ovol (basically a child's version of Maalox or Mylanta), not to mention the alcohol that is so often used in commercial infant Gripe Water. days, the acne flared up badly. rocked, etc.). We've also seen her acne completely clear up. The change has really been amazing! How Should Herbs Be Used With Babies? I am still bit torn on whether to try giving something to baby directly, such as small amounts of diluted herbal tea. My basic concern is that a newborn or young baby's digestive system is just so incredibly sensitive and immature (hence the reason that they are fussy and colicky to begin with! ), and the risk of introducing something to them that their systems cannot handle or may react to is very real. In my experience with Johanna, I did try giving her some very small amounts of weak tea. I tried both a yarrow tea and a fennel tea. With the yarrow, I didn't specifically notice any difference, though I might not have tried it for long enough to really see it. With the fennel, I definitely did notice a difference. It was the first breakthrough we had in bringing some level of calm to our distraught baby. **Fennel seeds** However, I continued to feel a little bit unsettled about giving it to her, even though I know that many practitioners (such as midwives, naturopaths, herbalists, even doctors) would consider it safe. I'm not convinced that it isn't either, and I will be the first to admit that it can be very effective. After my experience these past couple of weeks, however, my personal preference is taking stronger herbal teas myself. This way the soothing and digestion-easing properties of the herbs can be present in my milk, but have gone through the filter of my body first, rather than going into hers directly. I have found this to be equally as effective in helping my little girl, if not more effective, than giving her the herbal teas orally. In my recent studies, I've learned that herbs are used both as "simples", meaning on their own, and also in combination with other herbs (and most herbs can be used in either way). When giving herbs to any infant or young child, it is always best to introduce each herb first as a simple, before giving it in combination. As with new foods, it is always possible (though not highly likely) that a baby could react to what they are being given, and if this happens you would want to know exactly what they reacted to in order to avoid giving it to them again. 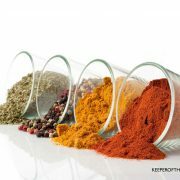 Once you know that baby does not react to several simple herbs, it would be fine to try them in combination. by Penelope Ody, she recommends giving any child under 1 year a dose that is one twentieth (1/20) of what would be a full adult dose. 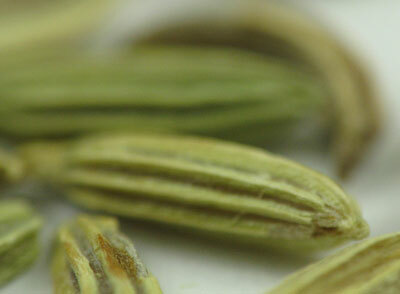 With something like fennel tea, if I were to make myself a tea I would probably use 1 Tbsp of fennel seas to 8 oz. of hot water. To make it for an infant (for example only- not all herbs use the same dose), I might use only 1 tsp. per 8 oz. to make a weaker brew, and then only give a 1/2 an ounce to 1 ounce at a time. When the nursing mom is taking the herb instead, she simply needs to stick to what would be a reasonable amount of any herb (ensuring that the herb is safe for baby, of course). With the tea that I am currently drinking for post-partum health, I consume about 3-4 cups of full strength tea (1 Tbsp to 8 oz. water) throughout the course of the day. Usually 1-2 cups before noon, and another 2 cups in the evening. With this amount, we have seen nothing but excellent results in Johanna (and myself) and not a speck of a negative reaction. As I am only beginning my personal study in herbology, I would not dare tell you exactly which herbs you ought to take and in which dosage. I am learning from many different sources and am continually looking for new information and using things cautiously as I proceed. 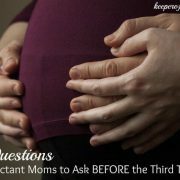 One excellent resource that I have just come across in my studies is on kellymom.com (a fantastic resource for breastfeeding moms in general). 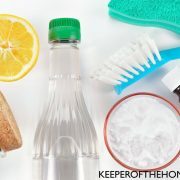 Here you will find an alphabetized list of herbs and remedies, and whether they are safe for the nursing mother, as well as some dosage suggestions and possible uses. I would suggest that in your own research it is best to be more on the cautious side than to quickly accept ideas and suggestions from any old source. It's always better to be safe than sorry. Our sweet girl with her skin cleared up, and feeling so much happier! As well, for more information on herbs that may be harmful for baby or for nursing mothers, here is more info on the topic from kellymom. Have you successfully used herbs to help a fussy or colicky baby? 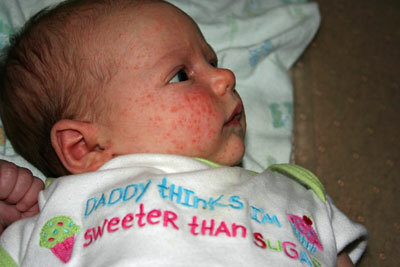 Tell us about your experience, or any other tips you have for helping a fussy baby! What a cute baby it is. I am very happy for him. I am personally believe in Herbs. It is good for babies as well as younger to older also! You did a really nice job. I like your spirit also! Thank you very much for sharing your experience with us. I’ve found probiotics very helpful for babies with tummy problems. Life Start Infant Bifidum is a good one. It’s a bit pricey, but I consider it worth the price when it’s needed. With my youngest, now 3 years, I tried everything from eliminating dairy from my diet, cutting out red meat, etc. Finally I tried Gripe Water from my local health food store and it worked. Though not 100% (I don’t think anything is 100% when it comes to colic), it gave him enough relief (and us) that I could almost call him a happy infant! Fortunately it passed around the 4-month mark, a textbook case. The [main, I think] ingredient of Gripe Water is fennel, so it’s along the lines of what you suggest. I wish I would have known this when my first was a baby! He was very fussy and had baby acne too, so I wonder if this would have helped him. I am pregnant with my third, so I might have to use this in the future! 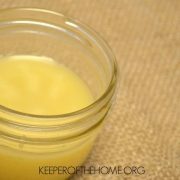 Do you have any good sources for herbal remedies during pregnancy – for nausea, heartburn, etc.? That’s very neat! Thank you for sharing! I’ve never used herbs for a baby but have used probiotics when my first baby had horrible thrush. I wonder about herbs for teething. I’ve tried some hyland’s homeopathic stuff but then even though it says “100% natural” there are a few questionable ingredients. The last 2 weeks my normally very calm baby has been so fussy and I was sure it was teething…sure enough her first two teeth just came through. Johanna is so cute. She reminds me of my girls. Not sure why though since you are all so dark haired and we are not! I’m so happy you have your baby back!! I know what that season of colic and fussiness is like and do not ever wish for anyone to have to go thru that. I do wonder if along with herbs you’ve tried altering your diet (I know you already don’t do wheat and do mostly raw or cultured dairy, etc.) but wonder if something else could be the underlying cause? The only reason I ask is because my youngest (now 12 mo.) had some yucky digestion/tummy issues from birth and after an elimination diet I determined that it was dairy. I cut out all dairy and within days she was a COMPLETELY different baby. I was slowly able to add back raw cheese and some yogurt and she tolerated it well. At 12 months she has outgrown those dairy issues and does completely fine on full fat milk (we do not have raw milk availabile) and all other cow milk products we would normally eat. Since you mentioned the fussiness and acne would get better and worse, it might be worth keeping track of what you eat and when she is fussy. There might be a correlation to a food that you are eating, as a previous comment mentioned. I also had fussy, colicy babies. The first has food allergies and the second was sensitive to either soy, dairy or both, but now has out grown the sensitivities. I emilinated both at the same time and did not introduce either back until about 9-10 months of age while nursing. Once I eliminated the soy and dairy I too had a brand new happy baby as Nola described in her comment. I was interested to get your take on this…please share if you get a chance. I have three daughters, and my oldest one had quite a time with colic. We later determined that she was lactose intolerant to a severe degree, but we didn’t really know at the time we were going through the colicky time. My mother and I grow catnip in our garden, and she remembered from her youth that catnip tea was brewed to help fussy babies. She verified it with her 92 year-old friend, and then she began brewing the leaves to make a tea for my young daughter to drink. At first, I was dismayed, but after I witnessed the immense easing of her tummy, I realized that this was indeed helpful. We used it a lot during that colicky period. Another thing we found particularly helpful, as well, was the juice from a roasted onion. Bake a large onion and squeeze the juice from it. Just a little spooned to the baby has a soothing effect, too. Both of these remedies seemed strange to me, and I was quite uncomfortable with the idea at first…but I was amazed at result. Best wishes to you and little Johanna, and the rest of your family. 3 of my 6 were colicky babies. 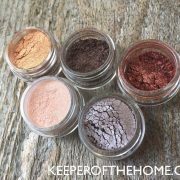 They each had different food sensitivities. I would definitely do an elimination diet. The only thing that worked for one of mine was a blend of catnip and fennel. For my other one, no concoction seemed to work. But putting the Young Living essential oil blend of Di-Giz really seemed to help his tummy. I just had to eliminate dairy, wheat, corn, soy (not that I eat that stuff anymore) and any kind of citrus. They were also sensitive if I took any extra supplements. Anyways, hope you find what works for your baby. I must say now, all my colicky babies have outgrown their sensitivities and are quite healthy and happy children. I see no negative side effects to using the herbs in the right amounts when they were very young. Thanks for the post. My baby boy is having the same problem. Thanks for writing about this. I wish I would have been able to read this 8 months ago, when my daughter was born. 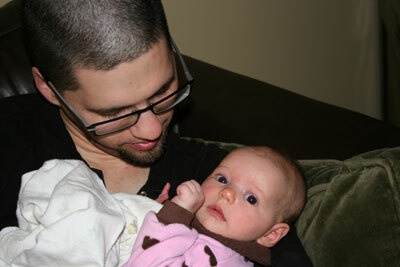 She was super fussy and being my first I was at my whits end with what to do with her. We ended up taking her to the doctor at 3 months old and just getting whatever would work, because I honestly couldn’t handle her crying anymore. We were both spending most days in tears! I will definitely be looking more into this for any future babies, if the Lord chooses to bless me with them. I also found some tea specifically made for breastfeeding Mom’s that has a lot of these herbs in it. Have you ever heard of the Yogi Tea brand or tried any of it??? Where do you find your herbs to make your own concoctions of tea? i have a 6 months old baby, 6.5kg. i felt i should bathe him in herbs that will make him put on more weigh, but, i am skeptical about how it works. as in i just don’t understand how a herb will change the weight of a baby…what is the pharmacological idea behind this? i hope it wont affect my baby?